As of Wednesday, January 12—the one-year anniversary of the Haiti earthquake—the Winter 2011 Concordia Journal has gone to press. It is only apropos, because the issue marks the anniversary by focusing on suffering, theodicy, and the church’s witness to God’s presence in tragedy, in light of the ongoing reconstruction of Haiti. To accomplish that task, Concordia Seminary, St. Louis, has partnered with Lutheran World Relief (LWR) to produce the issue. 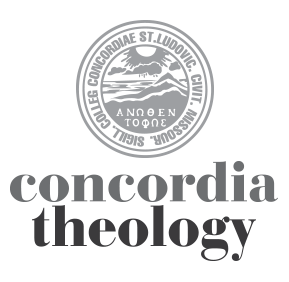 This makes it a landmark issue, since this is the first time Concordia Journal has partnered with another organization to provide a timely theological resource in this way. Here are a few touchstones…. A growing Lutheran church in America will see more and more small congregations. Many of them will be ethnic. It is estimated that by 2050 one of every four Americans will be Hispanic while the white Anglo population of America will dip below 50 percent. Hispanic, African American, African immigrant, and Asian congregations must be part of a growing twenty-first century Missouri Synod, not some backwater colonies of our predominant but rapidly aging white Anglo church. We’ll have to get comfortable with churches and fellow baptized who speak Spanish, Sudanese, Mandarin, and many other languages that first-generation immigrants are speaking…. If Job could ask, if King David could ask, if Habakkuk could ask, if Jesus himself could ask, then certainly the sufferers in Haiti and those who now minister to them will ask as well: Dear God, why? It’s true, of course. Still, in our own darkest moments, we understand instinctively the despair that welled up from David’s heart to push these words from his lips, “Why, O LORD, do you stand far away? Why do you hide yourself in times of trouble?” (Ps 10:1). Just when we need him the most, we know the comfort of his presence the least. Deus Absconditus. Indeed! We confess our faith in a God whose hidden graciousness always exceeds the limits of the most astute mind to comprehend or perceive. In Luther’s lectures on the eighth chapter of Romans, he evaluates the philosophical preoccupation on questions of the “nature of things” and the problem of evil. He seems to advocate, instead, a teleological view, an eschatological prism for interpreting events. With his characteristic exuberance, Luther labels a person who focuses only on the present condition of things as “empty headed,” since the creation of God is being “skillfully prepared for the future glory.” It “is gazed upon by stupid people who look only at its mechanics but never see its final goal.”….